Welcome to Driftwood – a cottage by the sea! This property has been brought to life with thoughtful restoration and a natural eye for fittings and accents that will make you smile. It is like walking into a coastal show home, except you can kick off your shoes and stay awhile. Enjoy the comfortable beach-chic interior with unobstructed ocean views (even from bed). Take a dip in the pool after a morning at the shore. Beach access is less than 300 feet from the front door. Play a couple sets of ping-pong, checkers, or corn hole while the charcoal gets ready for grilling – or call dibs on the hammock and sway in the shade of palms. The house comfortably sleeps 10 with four bedrooms furnished with queen beds, and a loft with twin beds. Two of the queen-bedded rooms have private bathrooms and a hall bathroom serves the other bedrooms. There is a TV in every main floor bedroom, plus a large flat screen in the family room. The fully equipped kitchen has new Samsung appliances. The open floor plan and the porches and sundeck provide plenty of space for spreading out or gathering together. Other amenities include WiFi, picnic table, and an enclosed outdoor shower. This is a pet-free, non-smoking property. This house is beautiful, close to beach access, but the real gem is the owner, Tammy. 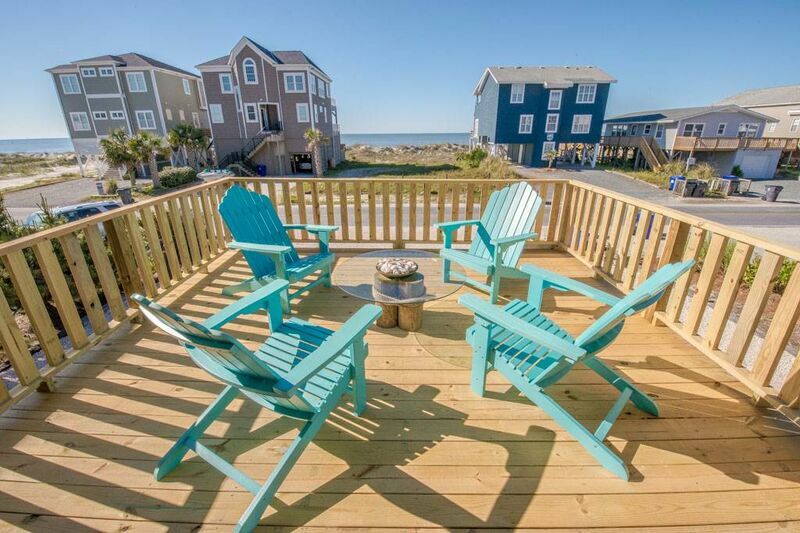 I have rented several houses at Ocean Isle Beach, and this one is my husband and my favorite. Wish I could give it 10 stars.